Our Lemon Lime & Bitters is incredibly popular for a reason. Actually, make that many reasons. It’s a unique combination of brewed aromatic spices and select herbs blended with lemon and lime juices to create the premium taste that’s both refreshing and invigorating. And, the addition of bitters gives the drink a refreshing lift, without any actual bitterness. 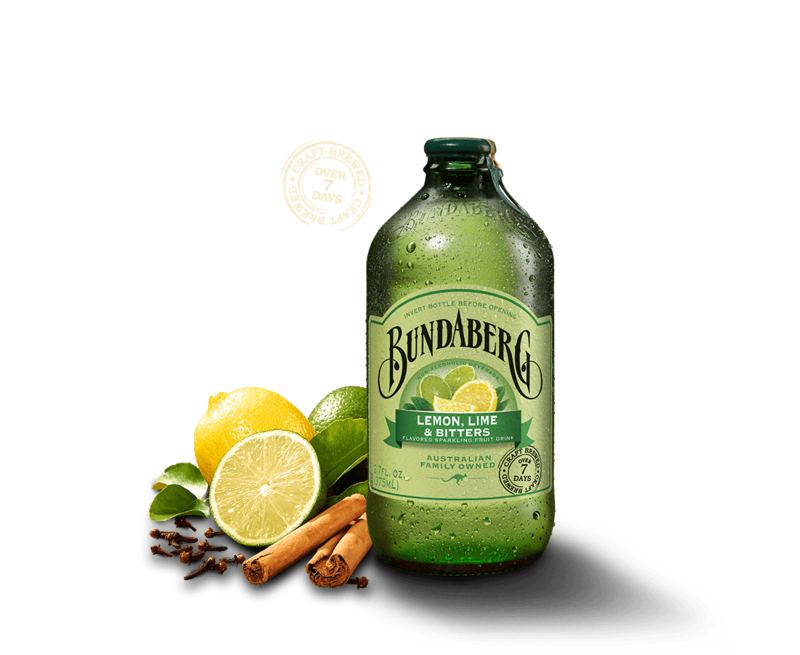 So you can serve Bundaberg Lemon Lime & Bitters knowing it’s been created with care and brewed over seven days. Bundaberg’s iconic Lemon Lime & Bitters brew is great on its own or add some fresh lime, mint and strawberries for an instant easy and unbeatable punch. Ingredients: Carbonated Water, Cane Sugar, Lime Juice from Concentrate (6.3%), Bitters Brew (2.4%) (Water, Cane Sugar, Tropical Spices, Gentian Root, Yeast), Lemon Juice from Concentrate (0.8%), Citric Acid, Antioxidant (Ascorbic Acid), Flavor, Colors (Vegetable Juice, Tomato Lycopene Extract), Preservatives (Sodium Benzoate, Sulphur Dioxide).